1. Paul was a “student” under Barnabas. 2. (Given the younger age of John Mark), Paul’s gift may have been not to mentor. 3. (Again, given the younger age of John Mark), Paul may have forgotten what Luke wrote earlier in the gospel when Jesus brought in the little children and blessed them. Jesus says “Unless you accept the God’s kingdom in the simplicity of a child, you’ll never get in.” (Luke 18:17, MSG). Paul wanted to be “Boss” and be in charge. Rather than being sent out by the Holy Spirit as part of a team (of two or maybe more), Paul wanted to call the shots, and decide who would go, where they would go, and what they would do. There is no indication that Paul intended to evangelize, so this journey started out more like a modern “Christian vacation” that is dubbed a “short-term mission trip.” Yes, many “short-term mission trips” are indeed worthy and ordained by God – yet there are also a good number that really are just an excuse to take a road trip and have an interesting and fun vacation experience. I think that this story in Acts shows us that there will be disagreements among Christians and that even a great missionary like Paul can allow the human side of himself to show. I believe that God had a plan all along and the argument between Paul and Barnabas still brought about good for the kingdom. Both of them were able to part ways and continue spreading the gospel. Because of their disagreement, more people were able to hear the word of God. I think that Barnabas wanted to have John Mark join them on their journey because he had previously gone with them before and maybe he wanted to give him another chance to prove himself. Paul was still upset at the fact that John Mark left them during their missionary journey. I can understand why Paul would be angry and not want to travel with him again, but this also lets me see that God can take a disagreement such as this one and use it for the good of others. I think that there comes a time in ministry when you can do more apart than you could do together. I think that Paul really felt convinced in his own spirit that he should not take John Mark along. Perhaps Barnabas felt this way as well. If it was a personal conviction that Paul had then it was necessary to separate for the sake of conscience. “but Paul chose Silas and departed, having been commended by the brothers to the grace of the Lord. 41 And he went through Syria and Cilicia, strengthening the churches.” (15:40-41). It appears that Paul was successful in his ministry upon separating from Barnabas. Perhaps the reason that this happened was that Syria, Cilicia, and Cyprus might be ministered to. Regardless of who was right or wrong in the matter, it appears that the gospel was spread to multiple places, perhaps more than what would have been ministered to had they stayed together. I would have to agree with Cahara. In Cahara’s post she said, “I think that this story in Acts shows us that there will be disagreements among Christians and that even a great missionary like Paul can allow the human side of himself to show” (Williams 2015). I find that to be so true. I think that wherever there is passion, there will be disagreement. I say that because if I am working with someone to reach the same goal but think my way is better then there will still be conflict. 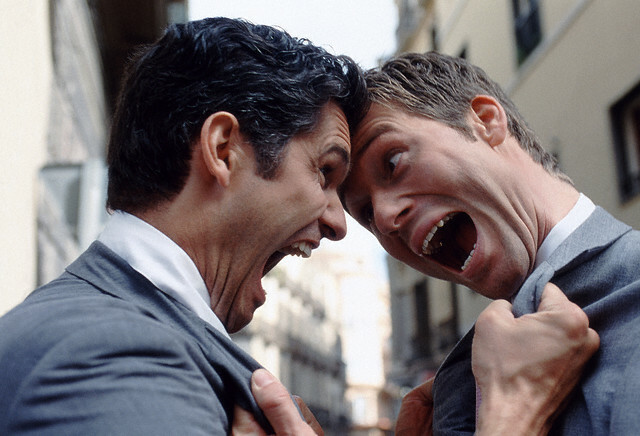 Disagreement and conflict still exists today in the church today. Being raised in the church all my life, and having my family be much a part of the ministry, I have seen firsthand the conflict and disagreements that happen in the church between ministers. I think that Paul left Barnabas because John Mark left the last time and Paul did not want to let John Mark go along with them. I think because of that, Paul decided to do his own thing. I personally think that Paul was right for splitting with Barnabas. I say that because he did not have to work with him. Paul could minister and do whatever else he wanted without the caring what Barnabas would think. Also I think it was good for the both of them because it gave them both a chance to go different directions in their journey so that the gospel would spread to more areas. I think when two people are passionate about something conflict is immanent. Here we have Paul and Barbara who were both passionate about their ministry and what they were doing. Both man had an argument and didn’t not see eye to eye. This should not be surprising to us. Like Cahara said this showers “their human side” ( Cahara Williams 2015). Also the fact the the Luke chose to include this disagreement in the book of acts, shows that he was wanted us to learn from it an observe that even those people as great as Paul and Barnabas can have a disagreement. When Paul decided to argue that they should leave mark behind he Was judging based off past experience. Mark had left them before and perhaps Paul thought Mark he would again leave them again. Paul perhaps thought Mark lacked maturity and drive to do the work of God. I think Paul acted on his beloved and because he was so driven by they work of God and didn’t want anyone getting in the way of that. Paul was being and obnoxious jerk, selfishly demanding his own way.